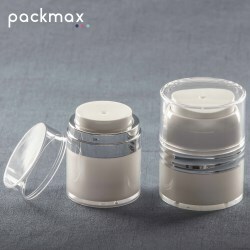 This is an Airless Jar with push up function. 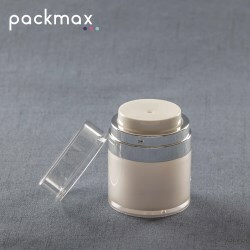 Different decoration options can be applied to the 15ml, 30ml, and 50ml capacity jars, each with 0.5cc output per dosage. 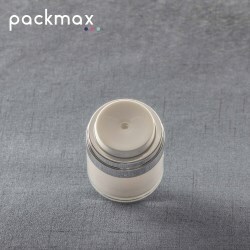 The new PET packaging works well and looks like an aerosol spray, the design is a tall, sophisticated piece that matches with fine mist sprayer and many different dispensers available in Packmax catalog.